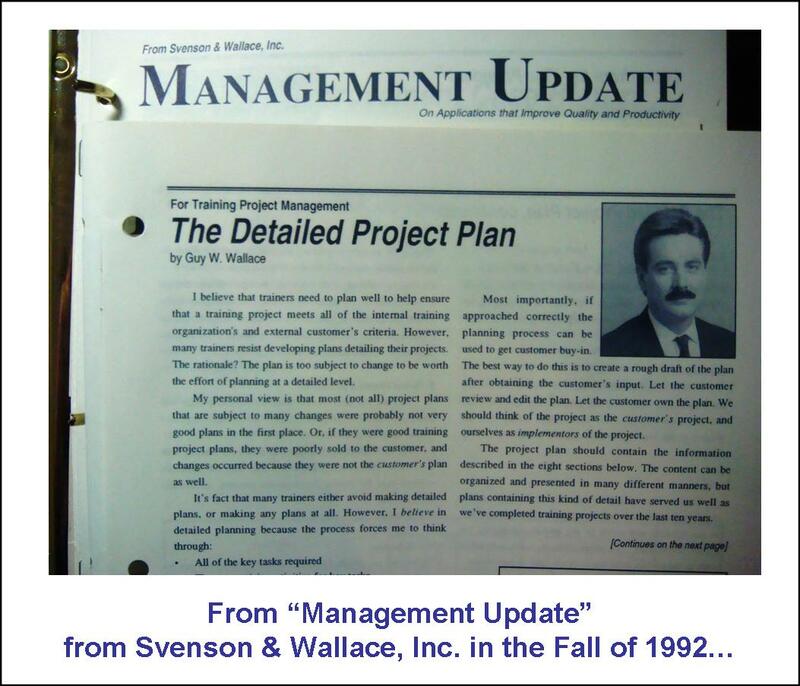 I started writing about Project Planning and Detailed Project Planning in our firm’s quarterly newsletter – R.A. Svenson & Associates Inc.’s “Management Update” – sometime in the early-mid 1980s. 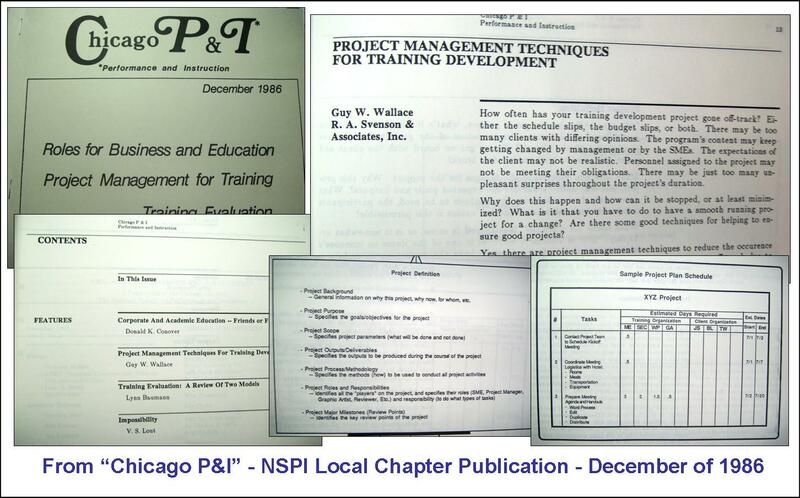 Here are some “clippings” from a 1986 Chicago NSPI publication: Performance & Instruction. NSPI of course is the National Society for Programmed Instruction from 1962 that then became the National Society for Performance & Instruction that later became the the International Society for Performance Improvement of today. 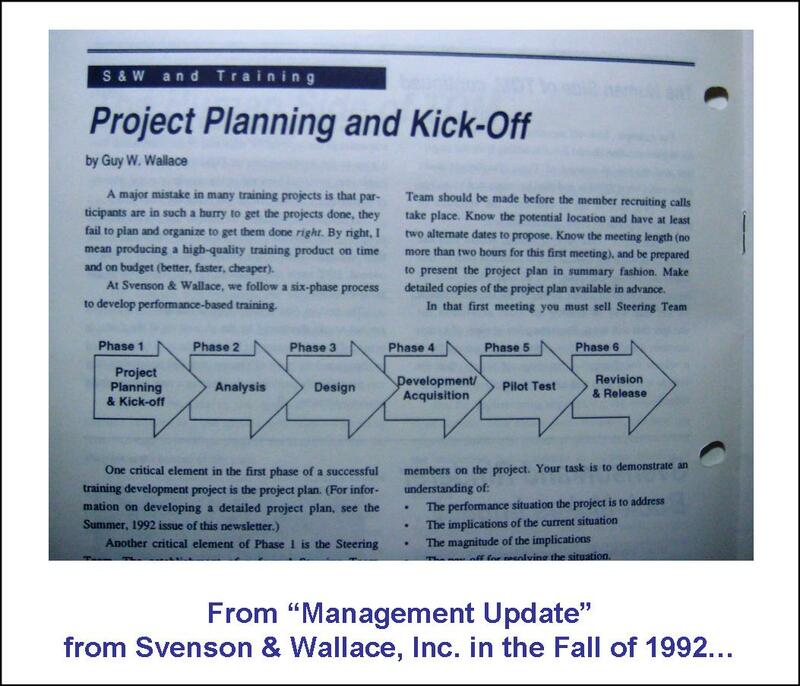 In 1992 I again published in our newsletter Management Update but we had become Svenson & Wallace Inc. – or as we marketed ourselves: SWI. 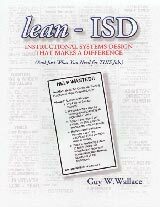 By 1992 I had been using my 6 phase version of ADDIE for 10 years as a consultant working with Fortune 500 firms on some very interesting ISD projects! 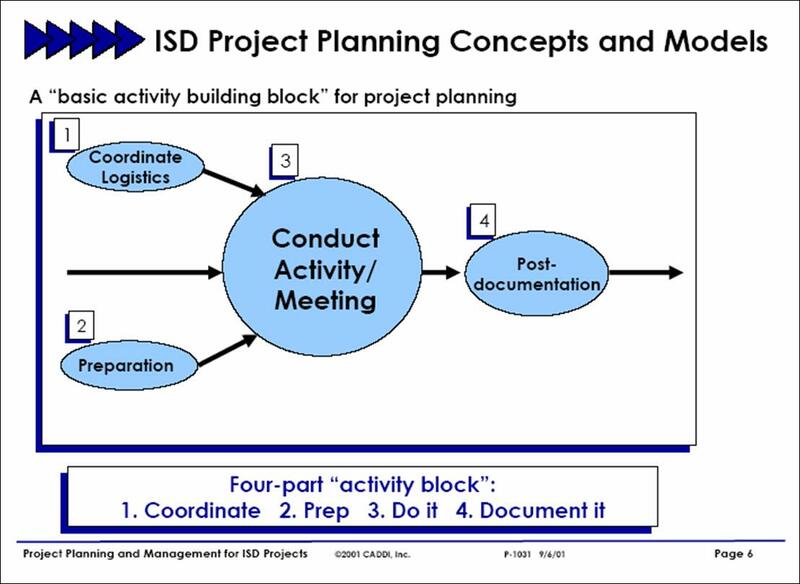 In September of 2001 I was invited to speak to the ISD students at Purdue in Lafayette Indiana about real-world ISD efforts…and I chose the “Project Planning” is critical – spin on my talk. One of the key things I learned about in 1979 was the WBS – Work Breakdown Structure. Which I use in my minds eye as well as on more tangible visuals. It’s a pattern. Of “prep it/do it/document it/ review it” through some logical (hopefully) progression of steps…at the phase level. 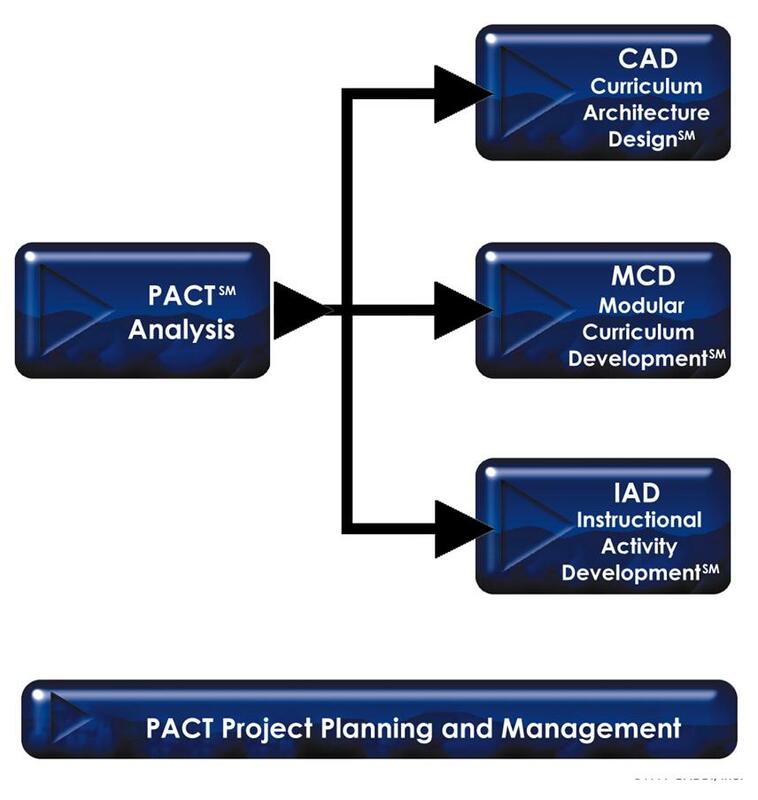 PACT has 3 levels of ISD…and common to each are analysis methods – and common to each are also project planning and management methods. As well as easier to plan, monitor and manage…. CAD efforts, my version of large scale/critical job or process “Training Needs Analysis” -usually follow the 4 phase model below…and take 2-3 months unless the effort is really accelerated…to 3-4 weeks. 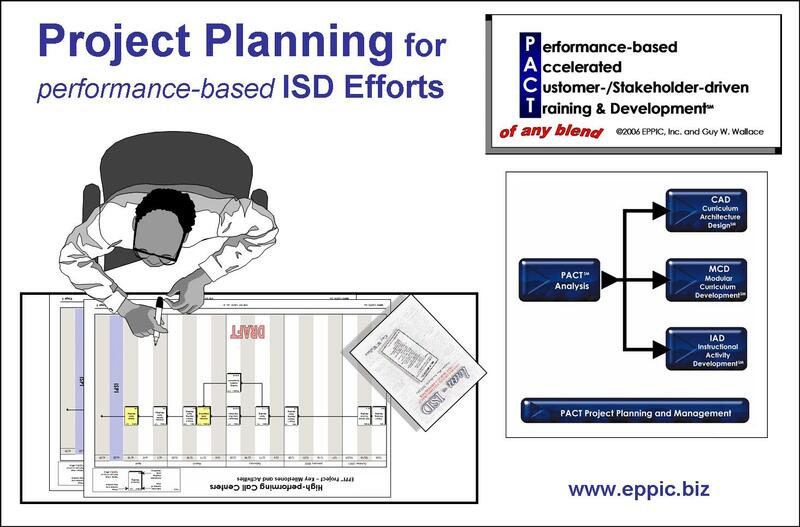 MCD projects, my version of the ADDIE-level of ISD, are also quick…but their cycle time depends on the amount of performance-based Instruction and Information isn’t available for REUSE and will have to be developed or acquired. Book cover design by Geary A. Rummler.